PDI is beautifully situated on the holy land of Vedas, Saints, Ganges & spiritual divine power in Uttarakhand, in between Devbhumi Hardwar and Rishikesh, near the pride of Uttarakhand Rajaji National Park. This resort is situated at the foot of the Himalayas, 12 kilometer and 12 kilometer from Haridwar to Rishikesh. It is surrounded by forests and mountains.There is an auditorium which is 200 to 250 people at a time to meditate. It houses a clinic Panchakarma, classrooms where various courses are given on Ayurveda. PDI conducts Yoga and Meditation education/ training courses to bring about tremendous changes in the personality of a human being, health and fitness through yogic principles, which helps one to achieve mental health, self control, positive thinking and develop will power and inner stamina besides longevity. 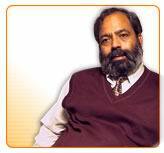 Dr. Anil Kumar Mehta (CEO) is the founder of PDI. He is a renowned Ayurvedic practitioner spreading the light of Ayurveda through many Ayurvedic Institutes and health centers spread all over the world. He conducted extensive research in the field of Ayurvedic health care and is constantly updating traditional cures to provide a holistic treatment for modern times. 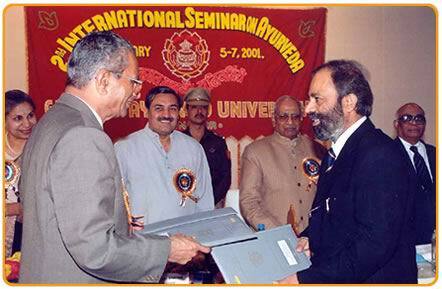 He is the founder chairman and medical director of EISRA- European Institute of scientific research on Ayurveda. Dr. Mehta pioneered the task of introducing the science of well-being, the Indian medical science Ayurveda to Europe. PDI is conducting various educational & training programs for medicos & non medicos under the guidance of specialized team of doctors. A thorough knowledge of the ancient medical wisdom combined with practical application is the aim of the courses offered at PDI. Ayurvedic Technician Course (Panchakarma Training), Yoga Mastering Course, Yoga Basic Course (For beginners), Ayurveda for Beginners, Advanced Training for Practitioners, Ayurveda Condensed Course (for foreigners only) and Distance learning course. The duration for the following courses are; Ayurvedic Technician Course (Panchakarma Training) 3 Weeks for Indians & 1 Week or 2 Weeks or 3 Weeks for Foreigners, Yoga Mastering Course 3 Weeks for Indians & 2 Weeks for Foreigners, Yoga Basic Course (For beginners) 2 Weeks for Indians & 2 Weeks for Foreigners, Ayurveda for Beginners 2 Weeks for Indians & 2 Weeks for Foreigners, Advanced Training for Practitioners 2 Weeks for Indians & 2 Weeks for Foreigners and Ayurveda Condensed Course (for foreigners only) 3 Months. We provide hostel with basic facilities which is free of cost. We provide food which is free of cost. We charge for the courses are; Cost of Ayurvedic Technician Course (Panchakarma Training) Rs.22640 3 Weeks for Indians & 700 1 Week, 1075 2 Weeks & 1450 3 Weeks for Foreigners, Cost of Yoga Mastering Course Rs.12400 3 Weeks for Indians & 1075 - 2 Weeks for Foreigners, Cost of Yoga Basic Course (For beginners) Rs.10400 2 Weeks for Indians & 700 2 Weeks for Foreigners, Cost of Ayurveda for Beginners Rs.10900 2 Weeks for Indians & 700 2 Weeks for Foreigners, Cost of Advanced Training for Practitioners Rs.28400 2 Weeks for Indians & 1450 2 Weeks for Foreigners and Cost of Ayurveda Condensed Course (for foreigners only) 4800 3 Months. Apart from the Treatment and Educational Programs PDI has also some other facilities; In PDI we are conducting seminars & workshops on various topics related to current health problems, Ayurveda, Yoga, Meditation and Spiritualism. For scientific lectures and training seminars eminent Ayurvedic scholars are invited from all over the world, to provide you complete life style guidance. We have the facility of one big conference hall with the capacity of 300 chairs with a stage, Dias & dining hall for organizing conferences and seminars. We have full furnished library with about 3000 books on various Topics of Ayurveda, Yoga, Meditation, Spiritualism, Ayurvedic diet, Home remedies, Modern medical science, Beauty care and many more on various topics related to ayurvedic medical Science. We also have our museum showing various models related to medical science with samples & photographs of about 200 medicinal plants, raw herbs and other beautiful articles. PDI Ayurvedic herbal medicines- we use our own Ayurvedic Formulations for treatment, which are more efficacious and safe. Free check up camps in the premises would be organized from time to time to help the poor and needy. Address: Raiwala, Haridwar, Rishikesh, National Highway 58, Uttarakhand. this sources given to new life to humons . this sources given to new life to humons . ..